Da-Lite, a brand of Legrand’s AV division, was founded in 1909 when Adele De Berri took reflective silver paint and created a better projection screen for nickelodeon theaters, leading to the now famous phrase, “The Silver Screen.” For over 100 years, Da-Lite has been designing, manufacturing, and marketing the most comprehensive line of projection screens in the world. Da-Lite’s proprietary screen technologies are created specifically for the most demanding installations—from military training simulators to boardrooms, classrooms to museums. 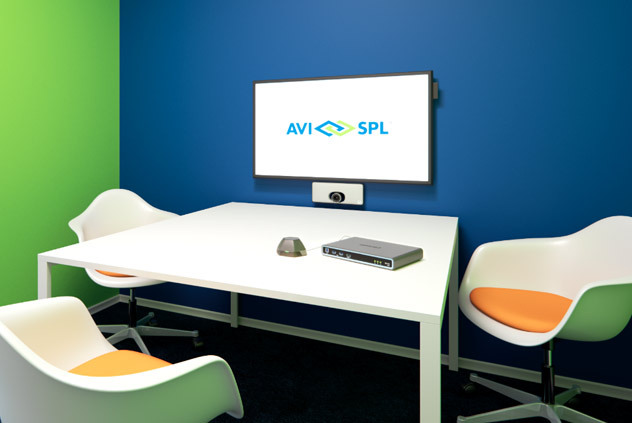 As the world’s largest and most trusted AV integrator, AVI-SPL partners with world-class manufacturers—like Da-Lite—to provide you with the right projection surfaces for your visual display needs. Select the correct screen size for your room by eliminating the sizes that may not fit for the installation. In the gallery, student design work is showcased on two 133-inch diagonal display screens. In the Midway Bar, two Christie projectors display images on 10-foot screens from Da-Lite. Panasonic projectors work with a motorized 237-inch diagonal Da-Lite Contour Electrol screen mounted above the stage and a 192-inch diagonal Da-Lite Cinema Contour at the rear of the room. AVI-SPL and Da-Lite work together to provide the right screens and projection surfaces for your location. From board rooms to classrooms; arenas to outdoor auditoriums—Da-lite makes a projection screen to fit your needs. FullVision – Border-less fixed frame projection screen that enables the entire surface to be used for projection. Wireline Advantage – Designed for large venues, the Wireline uses thin steel cables up to 29 feet instead of black drop to lower the screen to an appropriate viewing height. IDEA Screen – Designed for use with interactive ultra-short throw projectors, featuring upgraded durability, surface uniformity and rigidity. DescenderPro – The first Da-Lite ceiling recessed screen to be stocked and available for immediate shipment. Its compact housing is up to 1/3 smaller than similar electric screens for easy installation in tight spaces. Integrated Interactive System (AN3) – The Da-Lite Integrated Interactive System is an all-in-one solution that brings the best in screen technology and mounts to create a system pairing for the Epson BrightLink and BrightLink Pro. Parallax 2.3 – Da-Lite’s new Ambient Light Rejecting surface for lower output and laser projectors. Updating your display technology in your boardrooms, team meeting rooms, and briefing centers enhances the ideas your team members share, allowing them to ideate and collaborate easily.